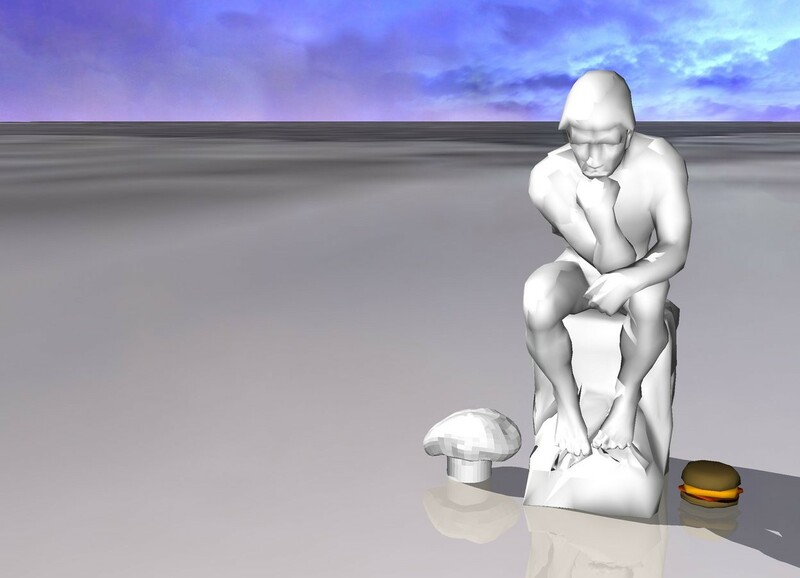 Input text: The thinker is next to a hamburger. There are clouds in the background. There is a wig on the ground. The ground is icy.